The casual dining business is fast-paced and dynamic. Differentiating to win the loyalty of customers and be known as the employer of choice is a difficult task, so we were delighted to share a lunch with Grant Cobb, Senior Vice President Casual Brands at Cara, to get his thoughts about employee experience. Grant is responsible for the successful growth of Canada’s most iconic restaurant brands including Casey’s, Kelsey’s, Fionn MacCool’s, and the Bier Markt. Grant described what they’ve done to design a branded employee journey for the Bier Markt brand. Fifth P (5P): In an organization with so many brands, franchise partners, and frontline employees, where did you decide to begin your Employee Experience Journey? Grant Cobb (GC): That’s a good point you raise. You cannot simply boil the ocean with an exercise like this. We decided to begin where we knew we could have the greatest impact. 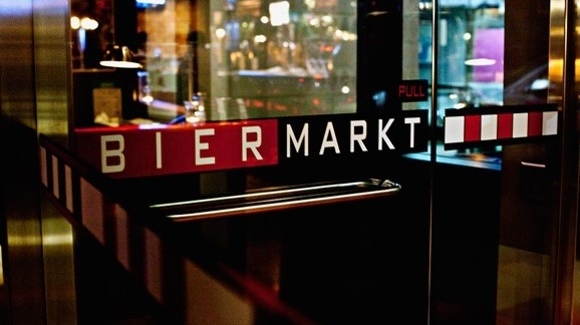 Our Bier Markt concept is relatively new compared with other brands we have. It has a very discernible culture where the “why” is an inherent part of the brand experience, there are relatively few sites, and the brand was poised for expansion. Bottling the culture of “why” that was created and nurtured by the leader and reflecting that in the entire employee experience was an integral part of how this brand would deliver the same experience as it grew. So we started here. 5P: How were you able to bottle this and reflect this in the employee experience? GC: First, we had to get what was the “Intel Inside” that defined the culture written down on paper. As simplistic as that sounds, it was an important first step. And there were many opinions and interpretations amongst ourselves, so imagine how well that would have translated as we expanded. Then, we looked at key steps in the employee journey and challenged ourselves whether that experience reflected what we wrote on paper as the essence of the journey. And not surprisingly, there were things we were doing that didn’t reflect the experience we needed to deliver to employees. So we redefined the journey and established a fresh way of implementing that part of the employee journey – one that reflected the essence of the Bier Markt.